Thinking about taking a holiday? In Costa Rica we’ve got what you’re looking for: Tree-lined tropical beaches whose warmth is exceeded only by the friendly people who live here, spectacular birds and flowers whose intense colors rival those of an erupting volcano, activities ranging from white water rafting and surfing to sport fishing and golf, and more than a thousand lodging options to choose from, including everything from cozy bed-and-breakfasts to luxury five-star hotels. With so much variety, there’s guaranteed to be something to suit everyone’s taste! Costa Rica is a small mountainous country on the narrow Central American isthmus. 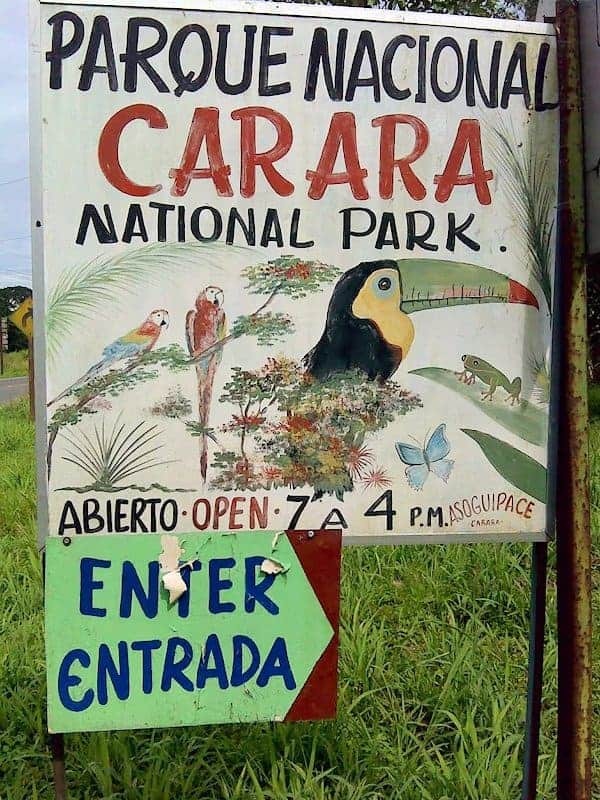 It’s only a day’s drive from its northern border with Nicaragua to neighboring Panamá in the south, and one could cross from ocean to ocean in only a few hours. But why hurry? There’s just too much to see and do in between. Costa Rica’s stunning scenic heritage unfolds in an ever-changing panorama of steaming volcanoes, forestad mountains, dramatic skies and bucolic countryside. Dark lowland jungles give way to rolling savannas. Pacific surf crashes against rocky headlands, in sharp contras! 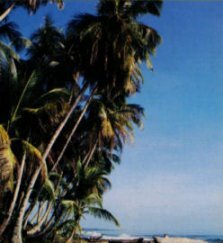 To the tranquillity of palm-fringed Caribbean beaches. The climate is idyllic. In the lowlands-which are dry in the Pacific northwest and humid elsewhere – daytime temperatures range in the eighties to nineties F° (high twenties to mid-thirties C°). Usually in the seventies F° (low to mid-twenties C°) at middle elevations, the mercury can fall as low as the forties and fifties F° (five to mid-teens C°) at the top of the mountains. Even night time frost is not an uncommon occurrence on the highest peaks. Within each elevational range, temperatures remain relatively constant year-round. Rainfall, on the other hand, is subject to annual and regional patterns. The northwest has a fairly well-defined dry season (“verano” or summer) from November to April. The dry season is a month or two shorter along the southern Pacific coast. July also tends to be a dry month on the Pacific slope. Welcome rains during the balance of the year bring about a general greening and freshens the countryside. Rains usually come in afternoon cloudbursts, leaving the mornings sunny and the night sky filled with stars. This period is called “invierno” (winter or rainy season) or “temporada verde” (green season). Rainfall on the Caribbean slope is more evenly distributed throughout the year, with marked dry periods in May-June and again in September-October. Each year, Costa Ricans welcome thousands of visitors to share the peaceful beauty and natural treasures of their country. In Costa Rica, tropical nature has reached its greatest expression. Located in the tropical latitudes, between the giant biological influences of North and South America and bordered by two oceans, mountainous Costa Rica enjoys an immense diversity of climates and environmental regions. Twelve major life zones harbor an astounding amount of plant and animal life. 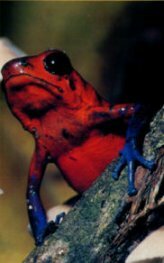 While Costa Rica covers a mere 0.03% of the planet’s surface, the nation is endowed with over 5% of all life forms on earth. Costa Ricans nave preserved this invaluable biodiversity in protected areas covering fully one-quarter of the land and organized into major units called Conservation Areas. No other country in the world has so much actively protected area per capita. 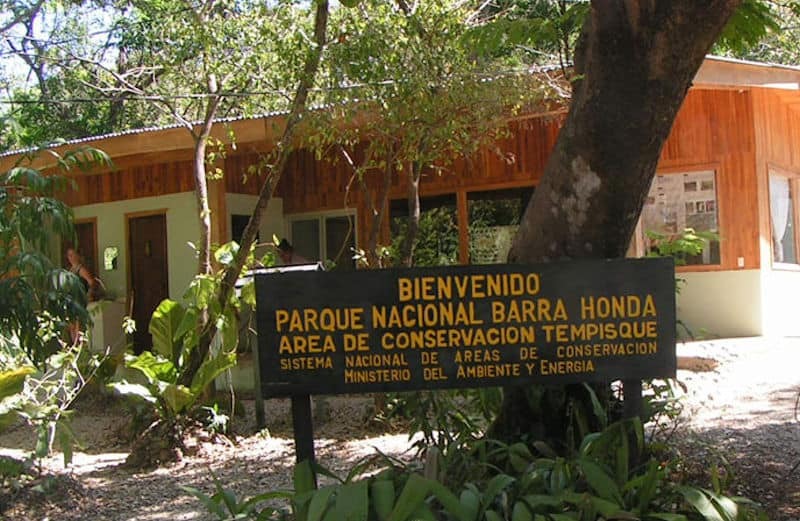 Costa Rica is often cited as a model for conservation in harmony with community development and economic growth. National parks and reserves are open to the public at government established fees. Private reserves set their own entrance rates. An impressive 22,647 miles (36,447 km.) of roads plus well-developed nature trail systems give easy access to every habitat and all but the most remote areas. You can drive to the very edge of a volcanic crater, through the heart of a mountain jungle, take an aerial tram ride in the rain forest canopy and soak up sun on a deserted beach, all on the same day in all but the most remote areas. 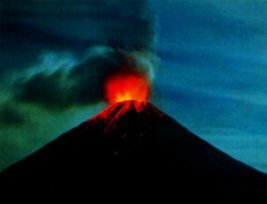 Costa Rica’s nine active volcanoes vividly remind visitors of the awesome power contained in the earth’s thin mantle. At Irazú Volcano, it is easy to see why Neil Armstrong said that its desolate landscape looks like the surface of the moon. Anyone peering into Poás mammoth crater with its boiling, sulfurous lake, is reminded just how tenuous is man’s supposed dominion over the world. 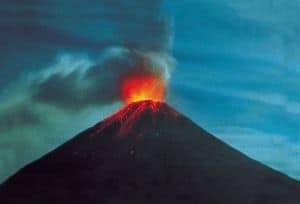 Arenal, the most active and no doubt the most studied of all of Costa Rica’s volcanoes, booms and rumbles with an unnerving consistency and its nocturnal pyrotechnics have struck awe in the hearts of thousands of observers. 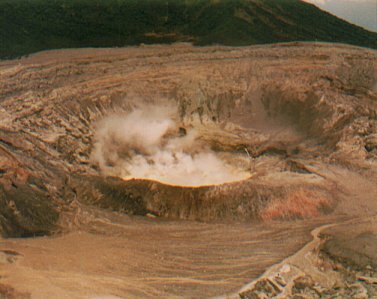 On the lower slopes of Rincón de la Vieja, power is vented in boiling mud pots, hissing fumaroles and thermal streams. The non-volcanic Talamancas are ruggedly beautiful and contain two of the nation’s tallest peaks. The Inter-American highway, crossing the 11,453 ft. (3,491 m.) Cerro de la Muerte, reaches over 9,843 feet (3,000 m.), passing through highland forests of Costa Rican Oak and the only road-accessible “páramo” vegetation in the country. To see evidence of the glacier that topped 2,533 ft (3,820 m.), Chirripó, during the last ice age, requires a 9 hour hike and cold-weather camping. But its definitely worth the effort. The forests on the upper slopes of Costa Rica’s mountains and volcanoes are frequently draped in mist and clouds. Algae, mosses and lichens get a foothold on the constantly wet surfaces, providing a place for orchids, bromeliads, ferns and innumerable other plants to cling to. So prolific is this “epiphytic” growth in the cloud forest that bare branches are virtually non-existent. Sometimes harsh conditions such as prevailing winds and supersaturated soils cause the forest to be stunted – like the elfin forest at Monteverde’s continental divide or the gnarly, dwarf woods at the summit of Poás Volcano. The cloudforest captures the imagination of even the most cynical among us. It emanates a sense of ancient and enduring life. Of peace. Sitting quietly overhead, its long feathery tail swaying gently in the breeze, is a scarlet and emerald bird that seems to embody the spirit of the cloudforest. Aptly named, the Resplendent Quetzal is considered by many to be the most beautiful bird in the world. In the foothills and lowlands of both slopes, Costa Rica’s rainforests harbor thousands of known life forms and thousands more yet to be described. They are among the last strongholds of biodiversity on earth. Resonating with the songs of birds, at dawn, the rainforest is quiet in the heat of the day, its stillness punctuated by the insect-like call of poison dart frogs,the rasping of cicadas or the whistled notes of wrens and antbirds. The dark, cool interior of the primary rainforest is surprisingly free of entangling vegetation. Only where light manages to filter through the interlocking canopy to the forest floor does vegetation proliferate. Walking in the rainforest is like taking a step back in time. The modern world and all its stress fade into insignificance. For the most fulfilling experience in the forest, it is important to go with an experienced naturalist guide. These woods do not give up their secrets easily. Indeed, the uninitiated can be overwhelmed by such all-pervasive greenness. A naturalist will explain the complex inter-relationships of species in the forest, help you identify the birds, spot well-camouflaged creatures and, with luck, maybe even point out the tracks of those ever-elusive tapirs or jungle cats. Of Costa Rica’s 850 bird species, visitors usually spot the big or colorful birds such as hawks, ducks, toucans and tanagers, plus the noisy parrots and macaws. 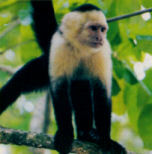 Monkeys, coatimundis, peccaries, agoutis, armadillos, sloths, deer, squirrels and bats are the most commonly seen mammals. 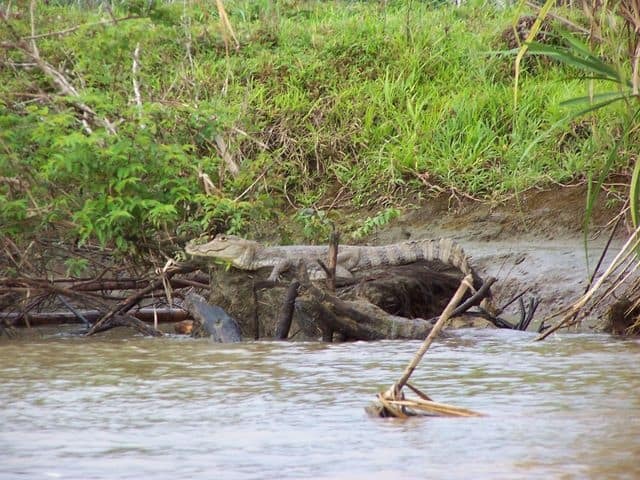 Also frequently found are iguanas, crocodiles and various species of lizards. During the sea turtle nesting season, lucky visitors can witness one of nature’s ageless miracles, as these prehistoric looking creatures return to the same beach from which they were hatched to laboriously dig their nests and lay the eggs from which the next generation of turtles will emerge. Bizarre and colorful insects, vast numbers of flowering trees, shrubs and plants in every color of the rainbow are all part of an infinitely rewarding experience with tropical nature. …TO THE BOTTOM OF THE SEA. 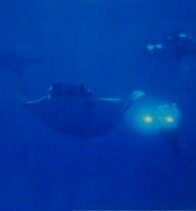 Those who venture beneath the seas, will find Costa Rica’s oceans teeming with fish and countess other creatures of the deep. It is said that life in the sea rivals the biodiversity of the rainforest. No matter whether you are exploring the sea, the cloudforests, rainforests, mangroves or any other of Costa Rica’s many ecosystems, the most important things to take with you are curiosity, patience and realistic expectations. The natural world is not a zoo with defined times for animal viewing. Every sighting, from the industrious parasol ants to frolicking dolphins, to drowsy howler monkeys, is a very special gift. Savor each one. And if your taste is more action-oriented, Costa Rica offers plenty of exciting alternatives. 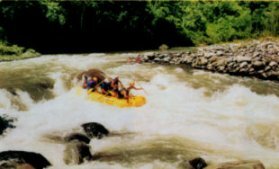 Rafting on Costa Rica’s wild and scenic rivers is perhaps the single most popular adventure sport in the country. Expert outfitters and river guides, using internationally approved equipment, take thousands of beginners down the thrilling Class III waters of the Reventazón River, every year. The more challenging Class IV Pacuare and the tricky Class V Pascua attract more experienced rafters. Swollen by Green Season rains, rafting rivers are even better from May to November. Overnight trips are available. Whitewater kayaking is a favorite sport and Costa Rica has hosted more than one international tournament. Ocean kayaking is also rapidly gaining devotees because just about anyone can handle it after a few lessons. 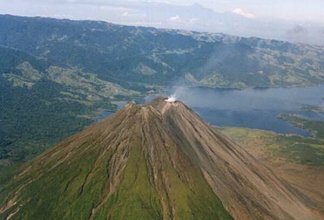 World champions have called Costa Rica’s Lake Arenal, at 1,350-1,800 ft. (450-600 m.) above sea level, one of the globe’s top five windsurfing spots. 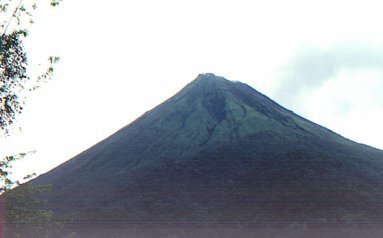 Winds from December to April blow steadily, carrying you along Arenal’s 29 miles (42 km.) surface, without changing either masts or sails. Just a couple of hours away is Puerto Soley, on the northern Pacific coast, for ocean windsurfing. Surfers love Costa Rica! From anywhere in the country, the warm surf is only a few hours away. 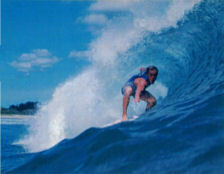 There are river mouth breaks, beach breaks, reef and, the experts say, one of the longest left hand curls in the world. Almost constant, manageable wave action means no long waits to hop on your board. There are lodges catering to surfers, 4-wheel-drive vehicles to access the most remote beaches – even charter airplanes to accommodate your board. No wonder the surf magazines are targeting Costa Rica as a world surfing hot spot. 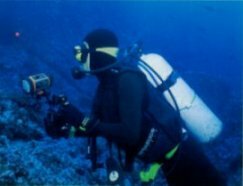 The northwest Pacific Coast offers scuba diving in a magnificent setting throughout the year, with more than 20 local dive sites, many in the Gulf of Papagayo. 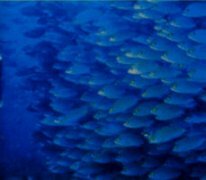 Huge schools of fish are the norm and Jacks, Moray Eels, White-tipped Sharks, Eagle Rays and Pufferfish are commonly observed. 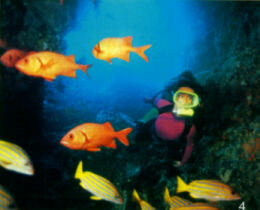 There are rock formations to be explored and visibility in these warm waters ranges from 20 to 80 ft. (6 to 24 m.). Beginners can take lessons from local, licensed instructors and a full range of first class equipment is available for rent. Caño Island, off the southwest coast, is known for huge schools of fish, rocky corals and undersea canyons. Experts will also want to make the long ocean trip to Cocos Island, touted by Jacques Cousteau as one of the finest deep water dive sites in the world. 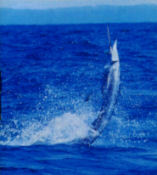 Costa Rica’s rich marine life also means excelient sport fishing. Along the Pacific Coast, from the Gulf of Papagayo all the way to Golfito, anglers find some of the best blue water and in shore fishing in the world. Annual catch & release billfish tournaments raise record numbers of sailfish and marlin. Rooster fish, Mahi-mahi, Yellow-fin Tuna, Grouper and Wahoo are among the other common game fish. The Tortuguero Canals and the area around Barra del Colorado, both on Costa Rica’s northeast coast, have long been famous for fishing tarpon and snook. 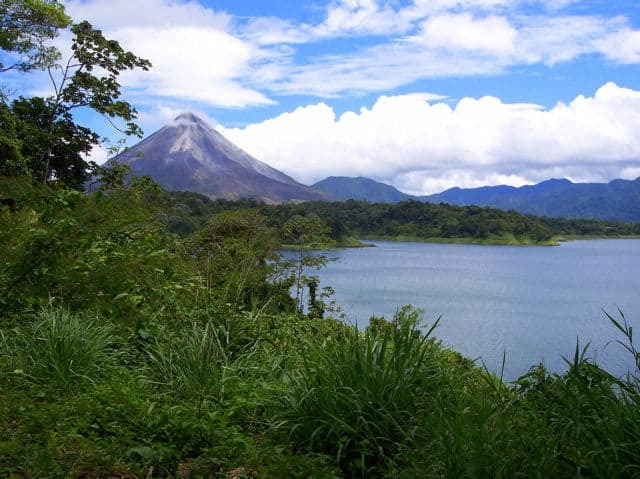 Lake Arenal is the place to take a boat out on quiet waters and hook the local “rainbow bass”. There’s also great trout fishing in Costa Rica’s mountain streams. 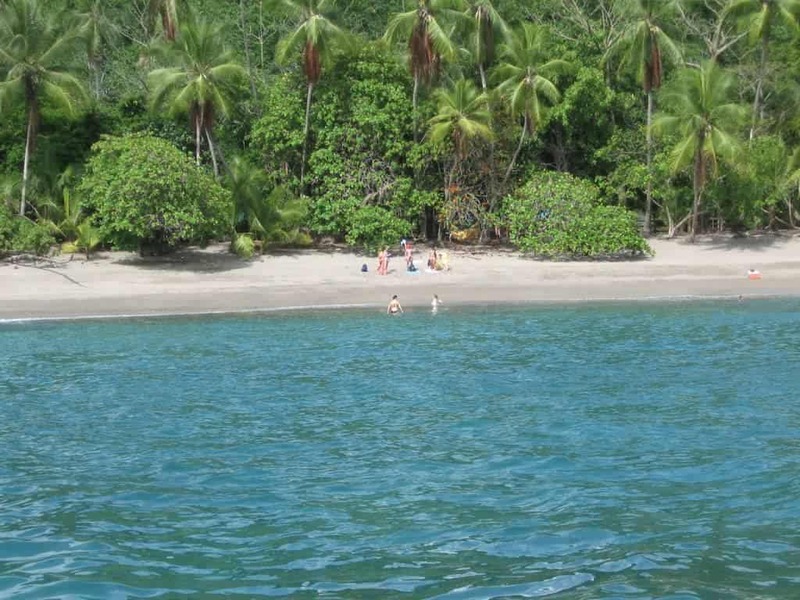 Day cruises to Tortuga Island, on the Gulf of Nicoya, are a highlight of many a Costa Rica vacation. Nature trips on lowland rivers are a relaxing way to see the forest and view wildlife. Even the most active adventurer or nature lover will want to smooth on an extra layer of SPF15 (Solar Protection Factor 15) and spend some time on the beautiful beaches along Costa Rica’s more than 621 miles (1,000 km,} of shoreline. Each has a beauty and character all its own, in every hue and texture. Many beaches are wild and undeveloped. At others, you’ll find cabins to rent or small hotels. For anyone preferring a resort atmosphere, there’s even a few of those, although in typical Costa Rican style, they are mostly small scale. With its mountainous terrain and thousands of miles of highways, biways and forest trails, Costa Rica is the ideal spot for mountain biking. Many hotels have equipment for rent and some local travel agencies offer organized tours. Horseback riding in Costa Rica can take you along beaches, at the edge of country roads, through pastures and along forest trails. Riding is great fun – once you get used to the diferent saddle, stirrups and neck-rein steering. Although not strictly necessary, a little equestrian experience will stand you in good stead since ranch horses are usually rounded up for trail duty. Lessons on how to control your mount and special assistance should be requested (if it is not offered) before setting out on any trail ride. 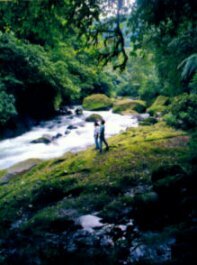 Costa Rica’s National Parks are ideal for trekking, although you definitely need a guide if you plan to venture away from well-marked trails. It’s all too easy to get lost in the rainforest, where everything looks the same. 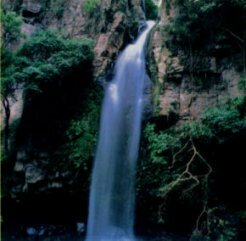 Overnight treks can be arranged through local outfitters and a climb up Mount Chirripó is highly recommended for those in good physical condition. Ballooning is also gaining popularity – a great way to see the rainforest canopy. Or you can take a ride on a cable car through the treetops. More adventuresome souls can sign up for tropical bungee jumping! Traditional leisure sports are also available in Costa Rica. The most popular sport among Costa Ricans, bar none, is soccer (we call it “fútbol”) and, if you are a fan, no trip to our country will be complete unless you attend a match and cheer on your favorite team. Over and over again, people tell us that the spontaneous hospitality of the Costa Rican people made their vacation extra special. 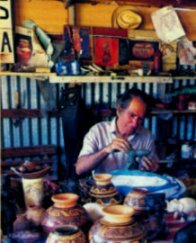 To “Ticos”, a smiling face and helping hand to friends, both old and new, are almost second nature. It is ingrained in their manner of speech and everyone greets each other, even in passing. Visitors quickly discover that “Ticos” take immense pride in their cultured, democratic society with its excellent educational and health care systems. A Costa Rican’s aspirations are limited only by his industry, imagination and ingenuity. Cooperativa efforts are an integral part of the Costa Rican culture, yet the strength and dignify of the individual is highly valued. Family is still very important to “Ticos”. Another fact which keeps the country strong and on an even keel. Democracy, decision by consensus and non-military solutions are a way of life – from government right on down. 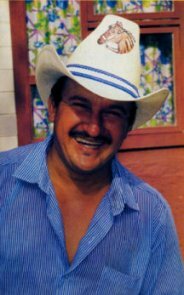 Somewhat unique, in what has often been an otherwise politically and socially turbulent part of the world, Costa Rica’s history holds the keys to the “Tico” national character. 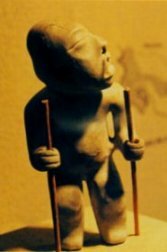 The “Tico” spirit of cooperation also developed early. Between 300,000 and 500,000 people were living in Costa Rica when Columbus landed on the Atlantic coast in 1502. Contrary to popular myth, the coastal tribes put up quite a battle. Between their resistance, the impenetrable jungle and the apparent lack of treasure for plunder, the Spaniards didn’t give Costa Rica high priority. Eventually, colonizers came through what is now Guanacaste to the Central Valley. The only way for colonists to survive in this tiny, poor cousin colony was to live off the land. They built native-style homes, made native-style clothes and learned the meaning of cooperation and tolerance. Yet, they were strongly individualistic. This was the origin of Costa Rica’s firmly entrenched concept of solidarity -groups working together, in cooperation with employers, for the well-being of the individual. The fact that Costa Rica is a non-aggressive country with no military also has its roots in history. Costa Rica learned of its independence only after the fact, when, on October 17,1821, a rider from Nicaragua brought the news. The country subsequently joined the new Central American Federation. Perhaps because the first governor was a teacher, not a soldier, Costa Rica didn’t suffer the civil wars that plagued other countries in the federation countries of that era. Costa Ricans were too busy building schools and making paper by hand. 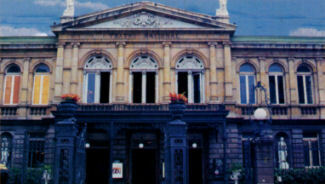 Costa Rica is one of the oldest democracies in the Americas, its first election held in 1889. The few times tyranny tried to gain the upper hand it quickly failed. In 1949, the modern constitution abolished the army and directed the country’s resources to education, social programs and economic development. Two generations have grown up without knowing war. This political stability has attracted many international organizations to Costa Rica, such as the Interamerican Court of Human Rights, the International Development Bank and the Earth Council. Costa Rica’s first university was established in 1843 although, in the early years, many of the coffee barons still preferred to send their children to Europe. They brought back European ideas and a taste for fine art and music that continues to this day. In fact, the construction of the National Theater, the country’s premier architechtural showpiece which was completed in 1897, was financed largely through an export tax on coffee. Free, compulsory education was established in 1917. Today, children must attend school until the end of the 9th grade, after which many scholarships and grants are available for continuing education. Respect for the dignity of all human beings is a Costa Rican reality. Slavery was abolished in 1823, the last execution held in 1859 and capital punishment officially abolished in 1883. Women won the right to vote in 1949. 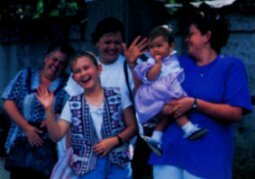 Perhaps Costa Rica’s racial tolerance comes from being a very heterogeneous population; a mix of southern European, Asian, African and indigenous American ancestry. Historically an agricultural based economy, people maintain close ties with the land and owning even a small parcel is traditional. Although rural in spirit, “Costa Ricans” embrace high tech (just notice the number of cellular phones) and constantly look to the future. 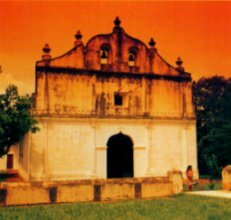 San José was the third city in the world to have electric lights! In the more consumer oriented Central Valley, Costa Ricans seem pretty much like North Americans. But strong traditions have forged a distinct national personality. On your vacation, be sure to make a “Tico” friend. Genuine, warm “Tico” hospitality underlies every facet of Costa Rica’s tourist services. There is so much to see and do in Costa Rica that your first friend should be a reliable, local travel agent who will help you plan a vacation that is tailor-made to your style and budget. Of the more than two hundred travel agencies and tour operators in Costa Rica, some specialize in nature travel, others in adventure sports, still others in meetings and conventions business. To find the one best suited to your needs, talk to several and ask for references. 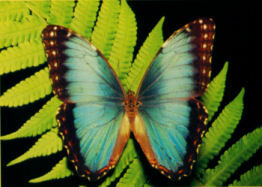 Costa Rica’s highly qualified guides will greatly enhance your vacation. A guide makes the culture and history of the country come alive and you begin to feel a part of it. A forest walk with a naturalist leaves you in awe of the intricacy of tropical nature. Organized tours are popular in Costa Rica. The modern fleet of air-conditioned, radio-equipped vans, buses and highway coaches, driven by experts familiar with the road, is a comfortable alternative to driving on your own. Those who wish to rent a car will find a wide selection of late model vehicles, including 4-wheel-drive vehicles, which are recommended for many of Costa Rica’s secondary roads. You can get just about anywhere on our 21,750 miles (35,000 km.) of road but, once away from the main highways, be sure to check local driving conditions. At all times, drive defensively. If time is short, inexpensive domestic flights are the ideal way to reach nearly every corner of Costa Rica. Remote areas are serviced by one and two-engine charter flights. Many jungle edges are otherwise accessible only by boat. 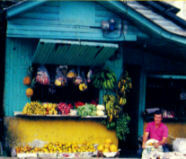 Accommodations in Costa Rica are, for the most part small-scale and unique. In fact, 70% of al Costa Rican hotels have less than 50 rooms. In the Central Valley, dozens of gracious homes have been converted into bed and breakfasts or boutique hotels, each with its own special cachet. Cozy mountain lodges, countrywide, range from simple cabins to Swiss-style chalets. Sitting around the stone fireplace in the evening, it is hard to imagine you are in the tropics. The numerous jungle lodges are definitely tropical, often built of wood and bamboo, with thatched roofs. Some are very rustic with basic amenities and cold water showers, others…the epitome of luxury. Their isolation in wild places, near a park or private nature reserve, and the presence of a staff naturalist, give such lodges an added appeal. Small beach hotels are equally intimate, varied and interesting. Conventional first class, luxury and tourist class hotels are also available in San José and at some beaches. Even in this category, the majority of properties offer between 21 and 60 rooms. A new complex in Guanacaste include larger-scale hotels, marinas and golf courses – all built in accordance with a master plan that limits cultural and environmental impact. Costa Rica’s goal is to make the entire hotel industry “green” and sustainable. The last thing anyone wants to do is get sick on vacation. Travelers to Costa Rica are at extremely low risk of catching tropical maladies. The country’s excellent medical system keeps diseases in check, through public education programs and preventive medicine. Free, universal health care means that people do not hesitate to visit the doctor when needed. The system covers everything from dentistry, to maternity care, to open-heart surgery. As a result, Costa Rica’s population is very healthy and enjoys a life expectancy comparable to that of North Americans. Such health consciousness is one of the many reasons that visitors feel so comfortable in Costa Rica. Yet, wherever you go in the world, common sense about what you eat is the best companion. Costa Rica is no different. Just as you would at home, feel free to enjoy the wonderful salads, tropical fruits and “refrescos naturales”. Avoid the adventure of street vendor foods and, in rural or remote areas, inquire about the water and ice source before quenching your thirst. But do quench it, because you should always drink plenty of fluids in the tropics to avoid dehydration. If you do happen to need medical attention, first rate care is available at any one of Costa Rica’s public hospitals or private clinics, throughout the country. In San José you can even pay with your credit card at the private hospitals. Except in the case of remote lodges, you are never far from medical care. Visitors should inform their tour guide if they have specific medical conditions, such as allergies or diabetes, and what to do in case of an incident. 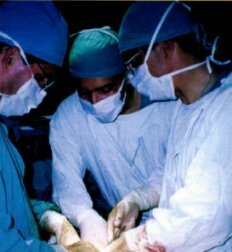 Costa Rica’s doctors receive excellent training, either at the University of Costa Rica medical school or one of the private universities. These schools also attract students from throughout Latin America. 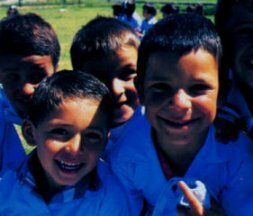 A large percentage of the doctors have taken additional training at major schools in North America and Europe and many of them speak English. There are many pharmacies carrying a full range of modern medicines and all but narcotic and addictive drugs are available over the counter. Costa Rica is, in fact, the headquarters for more than one international pharmaceutical company. Another advantage of Costa Rica’s health care system is its relatively low cost. The combination of excellent attention and price has spurred a minor but rapidly growing trend of medical tourism to Costa Rica. People combine their vacation with inexpensive, high quality dental work, operations to correct vision problems or cosmetic surgery. There are tour packages available that include a retreat at a fancy hotel and private nursing care while you recuperate from your treatment. Sometimes it’s not just the rejuvenating force of Costa Rica’s nature that sends people back from their vacation looking relaxed and ten years younger! 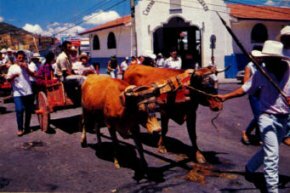 Every March, ox-cart owners from al over Costa Rica converge on the town of Escazú to compete for honors in the Annual Ox-cart Festival. Drawn by majestic teams of Cebú oxen, the brightly-colored carts are painted in fanciful decorations that have characterized the Costa Rican working ox-cart for more than a hundred years. Souvenir shops sell replicas of the carts and wheels in every possible size, It would be hard to find a more representative souvenir of our culture. Painted in bright, primary colors, ox-carts are definitely tropical, their exuberant designs a reflection of Costa Rica’s agricultural bounty and the spirit with which our farmers work the land. Flower motifs symbolize a peaceful way of life and the sensitive nature of a people who would honor an ordinary work tool with such artistry. The ox-cart is still used, occasionally, but low-tech farming has largely been replaced by modern methods and machinery. Indeed, Costa Rica is a world center for research and practical application of sustainable agriculture methods in the tropics. The School for Agriculture in the Tropical Humid Region (EARTH), the Center for Research and Education in Tropical Agronomy (CATIE) and the Central American School of Animal Husbandry (ECAG) are among the institutions working towards greater long-term productivity on less land, with less environmental impact. All are open to tourism and definitely worth the visit. 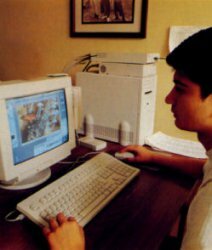 In modern Costa Rican agriculture, computers do everything from determining soil viability, to making crop projections and keeping track of the payroll. Many of our farmers are scientists who drive late-model, 4-wheel-drive vehicles and run their businesses with a cellular phone. Their children learn computer skills in elementary school -tomorrow’s high tech farmers. If modern technology has influenced the agricultural sector, it is all-pervasive in the rest of the country. And not just in the Central Valley. Visitors are surprised to find computers and a fax machine at their jungle lodge and, even in the remotest areas, a solar-powered telephone. In fact, there is almost nowhere in Costa Rica where you are cut off from instant international telephone communication. Seemingly miles from nowhere, there’s usually at least a “public phone”. From any phone, a three-digit number will put you in touch with an operator back home. At many of the bigger hotels and business centers you can send a message by E-mail. Costa Rica is definitely on the information highway and visitors can already research their travel plans on the Internet.